The weather is very difficult to master. As well as being difficult, it has its own terminology. Besides the professionals such as the meteorologists, relatively few people understand the weather and terminology. Therefore, most people at some stage or another will be prone to exaggerate or confusing weather terminology. There are many situations where these occur. Some common situations are discussed. 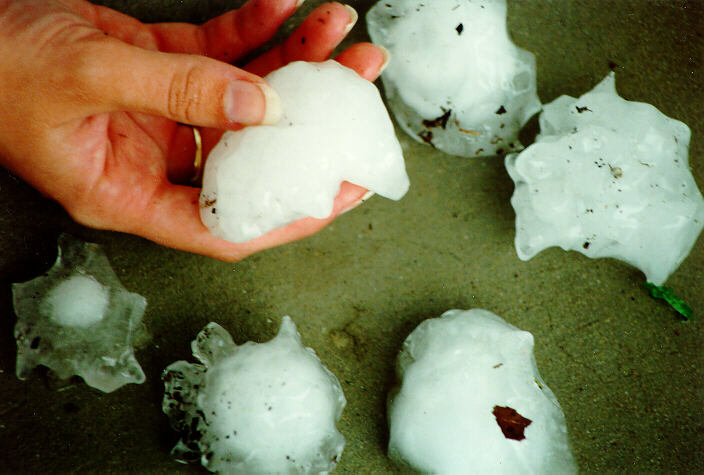 Perhaps because of its ragged shape, size of hail can easily be exaggerated. Therefore small hail can be estimated to be larger than their actual size and larger hail can be estimated to be smaller. Most people do not compare the hail with something else such as a coin or ruler. This is the best way to avoid incorrect hail size. A photograph with a ruler and a few of the largest hail found is an excellent way to prove hail size. It is also a good idea if there is no film available for photos to put the hail a freezer. They do maintain size. Added to this, the popularity of the video camera has increased coverage of events in action with damage from large hail and so on. 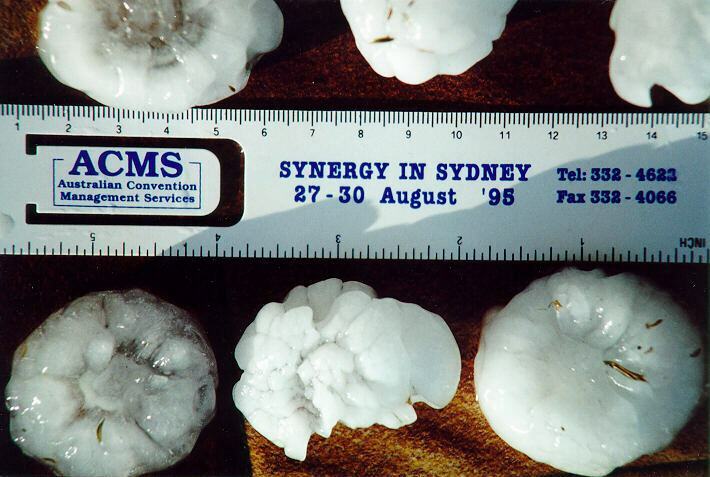 The time taken for hail to fall and the rate to which it fell also will help meteorologists in knowing what happens at particular times during the different stages of a hailstorm's life span. The occurrence of heavy rain creates different reactions from various people. As is the case for hail, some people may underestimate or overestimate rainfall intensities. They may suggest that the rain is 'pouring' whereas it may be just consistent steady rain. They may also say "this is the worst rain I have ever seen" in which case they may have forgotten past events. Again, media reports may become biased and then lead to misconceptions amongst the public. The only solution is for increased use of rain gauges and displaying more rainfall statistics in the media especially by making use of rainfall maps with isohyets. 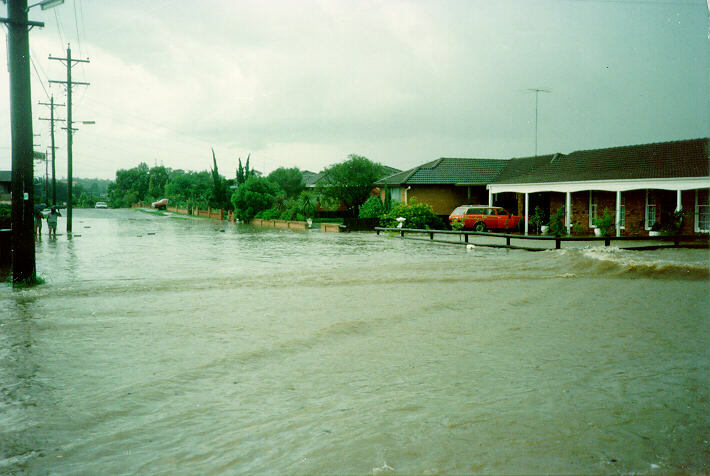 People can then get some idea of how much rainfall has occurred in their suburb. People obviously measure temperature based on feel. There are also problems when it comes to comparing the change in temperature. The body seems to get accustomed to particular rises and falls in temperatures. If the there is a sudden change to this pattern, people react by saying that it is colder. For instance, the average maximum in coastal Sydney is around 17 degrees Celcius. If the temperature ranged from 5 degrees to 17 on one day and 15 to 17 on another day, the latter case will tend to make people feel as if it colder. Media have been known and still do cover many weather related events particularly weather extremes. 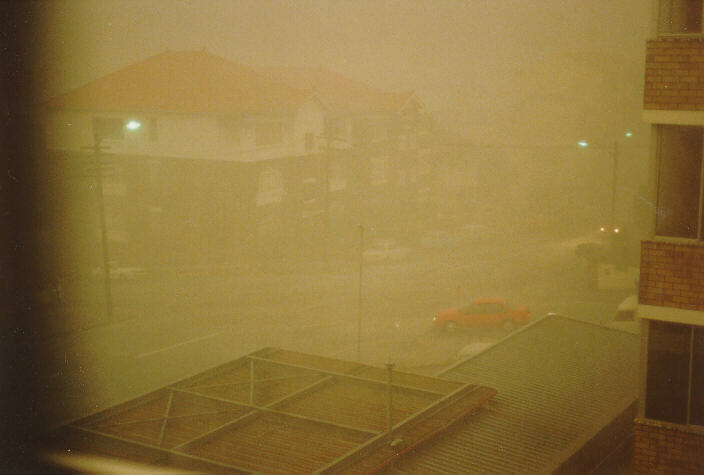 These include events such as hailstorms, tornadoes, blizzards, heat waves, bush fires, flash floods and so on. The aftermath of these events are what reporters tend to concentrate on. It is the reporters' views that introduce exaggeration. They tend to want to glamorise events such that it is the 'worst they have ever seen' or 'I have never seen anything like it' which are the typical comments made by people interviewed. Quite often people will tend to forget that they have experienced other events similar to it but forget. Other times, it is people who have lived there for a few years and therefore not experienced any other extreme events. In some cases reporters also like to use terms like 'it struck without warning' and 'they weren't ready'. In Australia, there are warnings or advices sent out by the Bureau of Meteorology when potentially severe storms are most probable. Meteorologists and weather enthusiasts have become frustrated by the lack of understanding and improper use of terminology. It is quite common for reporters to use terms like 'mini-cyclone' or 'mini-tornado' to describe storms that are just very severe wind storms with squalls. It is either a tornado or not. It is a tropical cyclone only if it is in the tropics. East coast lows do occur along the NSW coast and are examples of cyclones. I have even heard of a tornado being described as '...deadly cyclones of destruction...'. Because of the improper use of terminology, people are also using incorrect terminology. The most common case that I have come across is the confusion between cyclones and tornadoes. There are a few ways to help solve this problem. Reporters themselves can attend one day seminars held by universities or professional organisations to educate them on using the correct terms or introduce it during training. They will lead the way in education the public in this ever increasing media reliant society. This will have the impact of increasing awareness and changing perceptions of the public on various types of severe weather awareness. Since the 1980's, media attention has centred on the Greenhouse Effect and Global Warming issues. This has caused a positive reaction amongst the public which in turn has affected political strategies. However, because of the misunderstanding of some concepts associated with such issues, some people have developed their own ideas of the effects of Global Warming and the Greenhouse Effect. In Australia, extreme periods such as droughts, floods or extended wet weather periods, heat waves and severe storms have all been blamed on these effects. Even though it may have an impact, the change is a gradual one and not over a short period of time. The typical climate including weather extremes are experienced as in the past but what may be noticed will be a gradual shift in patterns. For instance, tropical type weather including cyclones may begin to occur further south than normal.